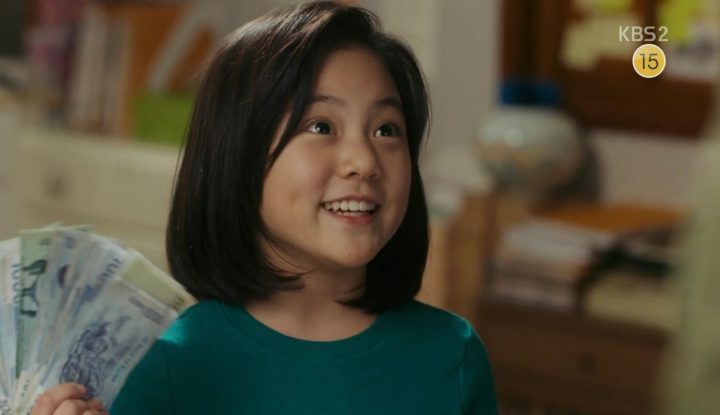 Oh My Geum Bi is a heartwarming family drama that follows the life of a sweet and adorable, yet strong-willed ten-year-old girl, Yoo Geum Bi (Heo Jung Eun). She suffers from a rare genetic disease called Niemann-Pick Disease Type C that makes her body unable to properly metabolize cholesterol and other lipids. It’s a condition commonly referred to as “children’s Alzheimer’s” because of the rapid mental and physical deterioration symptoms that it causes. As if life is not tough enough on Geum Bi already, after thinking her mom has passed away, she gets abandoned by the only aunt she knows, and is forced to track down her only remaining relative — her estranged conman father, Mo Hwi Cheol (Oh Ji Ho). As a swindler living a purposeless life, Hwi Cheol is shocked to hear about Geum Bi’s existence and immediately wants nothing to do with her. And just like that, we’re introduced to an onslaught of characters, all unique and important in their own ways. 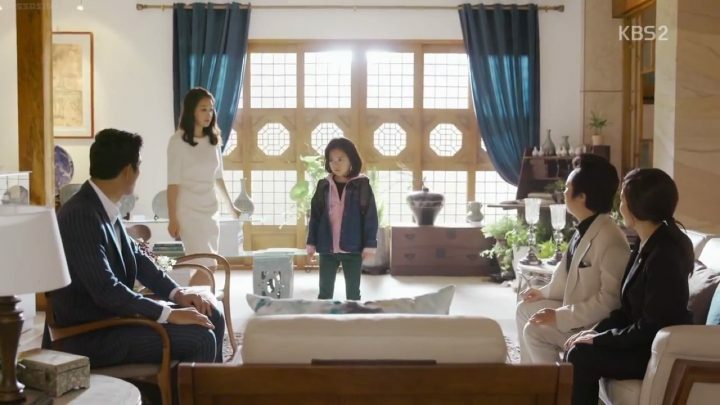 While Hwi Cheol and his two friends attempt to con Go Gang Hee (Park Jin Hee), a pessimistic arborist who’s trying to sell her father’s ceramics, Geum Bi gets in the way of their plans. However, as Hwi Cheol is behind on rent, they eventually end up living with Gang Hee, who treats Geum Bi as her own daughter and completes the full picture of a “fake family”. Riddled with a daughter he doesn’t want, Hwi Cheol finds it hard to take care of Geum Bi. However, Geum Bi is bright, selfless, and has such a strong effect on those around her, that Hwi Cheol, despite being tough around the edges, gradually warms up to her. What I love the most is how Hwi Cheol is genuinely attempting to become a better person for Geum Bi’s sake. He’s new to all of this, but when he finally decides he’s going to take care of her, it’s one tremendous step forward and we get to reap the joy of a sincerely touching moment. The young actress does such an amazing job of delivering raw emotions and heartfelt actions. Not all the praise can go to Hwi Cheol’s character and acting, though. The true star of this show is of course Geum Bi. The young actress does such an amazing job of delivering raw emotions and heartfelt actions. For example, she attempts to hide her disease from Hwi Cheol and Gang Hee at first, in fear of being abandoned again. 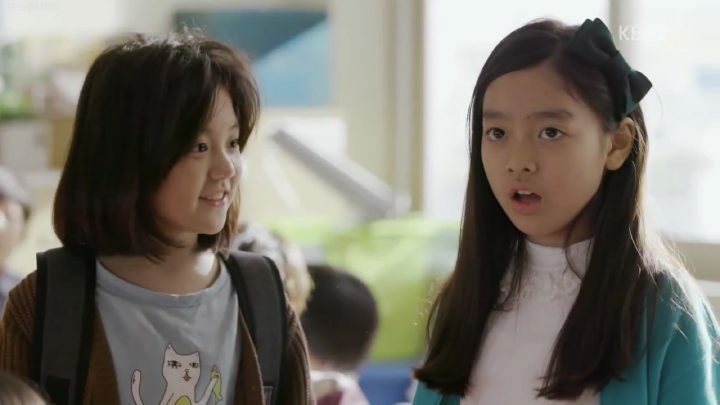 I also like spending time with Geum Bi at school, where we see that despite her condition, she lives a normal life of a ten-year-old, complete with crushes and rivalries. We witness exactly how a little girl can have such a big impact on those around her through her cheerful and fighting spirit. She’s the one who needs to be taken care of, yet she’s taking care of the adults around her, both directly and indirectly. As we progress through the story, we delve a little deeper into both Gang Hee and Hwi Cheol’s past that haunt them. It won’t be easy for either of them to move forward with life, but they try nonetheless. In particular, for Hwi Cheol, his past has finally caught up to him when an old frenemy who wants revenge comes back into the picture. I wasn’t sure how critical this plot point would be besides giving a fuller picture of Hwi Cheol’s character. 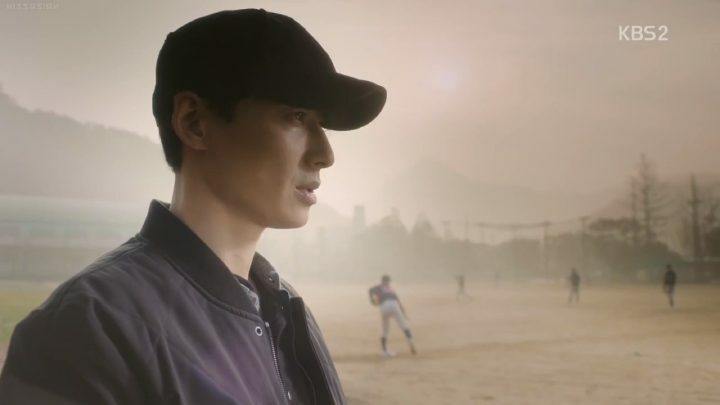 But it proves to serve an important purpose in the drama that also gets a proper resolution with the help of Geum Bi. I have to note that another thing Oh My Geum Bi did well on is its portrayal of the relationship between Gang Hee and Hwi Cheol. Rather than lovey-dovey romance that most dramas focus on, they share more comaraderie, friendship, and mutual respect, like long-term married couples do. Gang Hee always encourages Hwi Cheol to do the right thing, and always believes in him even when he doesn’t believe in himself. 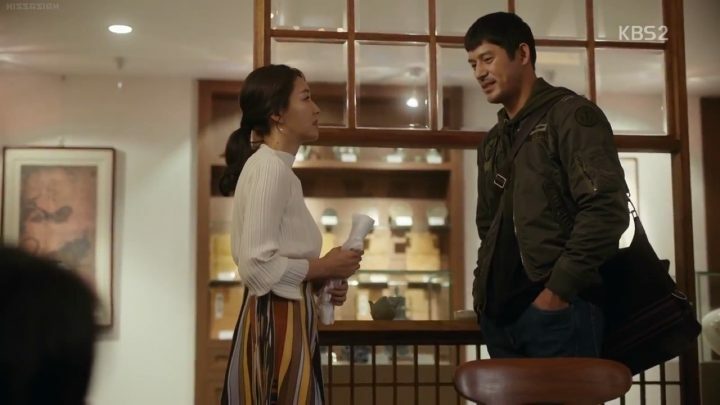 They’re great support systems for each other, especially when Geum Bi’s disease catches up to her and really begins to take a toll on all those close to her. 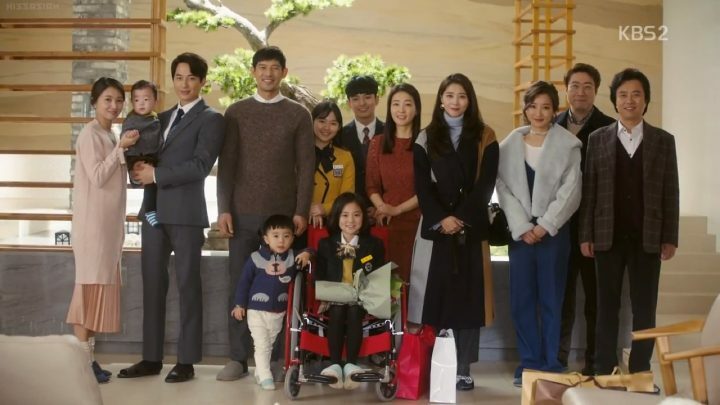 Its unique perspective on familial relationships sets it apart from other dramas. Geum Bi’s mother makes a reappearance as well later in the drama. But I think other than to solve the mystery of her once presumed dead mother, the drama didn’t necessarily need her in the picture. However her comeback serves as a valuable lesson that you don’t need to share blood to be family. This just goes to show that Oh My Geum Bi‘s unique perspective on familial relationships at its core really sets it apart from other dramas. Although Oh My Geum Bi is filled with sweet and tender moments, we don’t really get to experience the crux of it all until we’re faced with the reality of Geum Bi’s disease during the final episodes. It’s agonizing to watch her lose her memory and her ability to walk at times. I did expect the drama to be melodramatic and tear inducing upon hearing its premise. Though while it was indeed tear inducing (but not always for the reasons I thought), it unexpectedly had a lot of feel-good and even comedic moments throughout to balance its heartfelt themes. Oh My Geum Bi brought together a cast that, whether you hate or love the characters, worked exceptionally well together. They bring out all sorts of emotions in its viewers. Even with a heartbreaking conceit throughout, Oh My Geum Bi manages to stay lighthearted at times. The sense of optimism that Geum Bi exudes and her ability to impart positive change in those around her despite her own situation is one of the greatest life lessons from a Korean drama yet.